First we must understand who a “bully” is, what they’re looking for and whom they think they can get it from. How it’s different from an altercation that started from an argument or difference in views. 1. "Emotional Guessing" - trying to read someone's emotions based on body language. How to identify if someone is jockeying for a fight. 2. 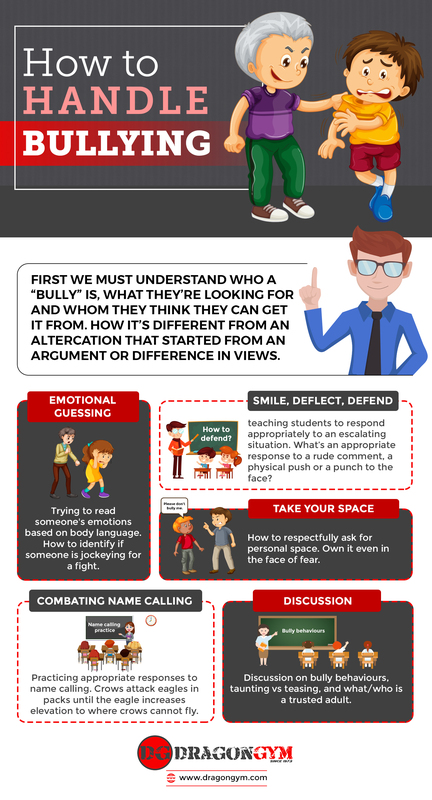 "Smile, deflect, defend" - teaching students to respond appropriately to an escalating situation. What’s an appropriate response to a rude comment, a physical push or a punch to the face? 3. "Take your space" - How to respectfully ask for personal space. Own it even in the face of fear. 4. "Combating name calling" - Practicing appropriate responses to name calling. Crows attack eagles in packs until the eagle increases elevation to where crows cannot fly. 5. 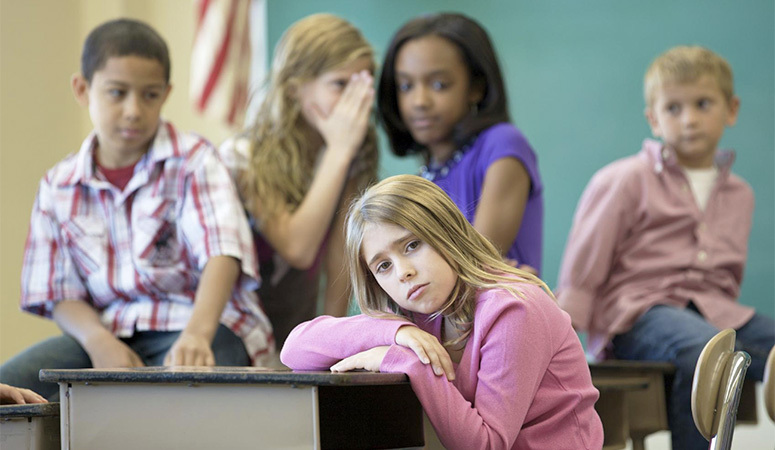 Discussion on bully behaviors, taunting vs teasing, and what/who is a trusted adult. We're looking for 10 Families to enroll their children in our Quick Start Confidence Program. Students must be able to attend martial arts classes at least 2 days per week and work on “at home training assignments” to develop focus, confidence, discipline, kindness and perseverance. Enrolling your kids into a martial arts program is like giving them a LIFE COACH. All of our students start with a free, no obligation orientation and trial lesson. Getting started is simple, click below and book your orientation lesson online. WE ARE BOOKING ORIENTATIONS THIS WEEK! CLICK HERE to book your free, no-obligation orientation lesson.